The first Rhetoric Reading Group meeting of the academic year, and the first to be sponsored by the new Wayne State Rhetoric Society, will take place at 3:30 PM, Friday, October 08. The location will be The Motor City Brewing Works (470 W. Canfield Street). 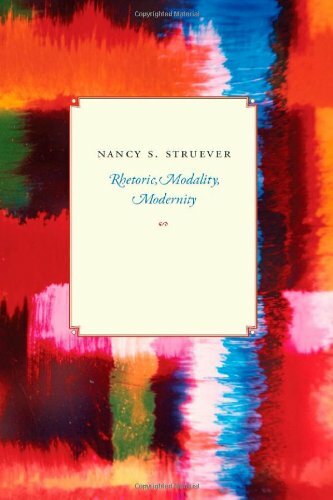 Our text will be Nancy S Struever’s Rhetoric, Modality, Modernity (U of Chicago P, 2009).